This option part for the TT-02 chassis and is made from aluminium as opposed to the chassis kit-standard resin shaft. Therefore, it provides more stable rotation at higher speeds and reduces power loss from the transmission. 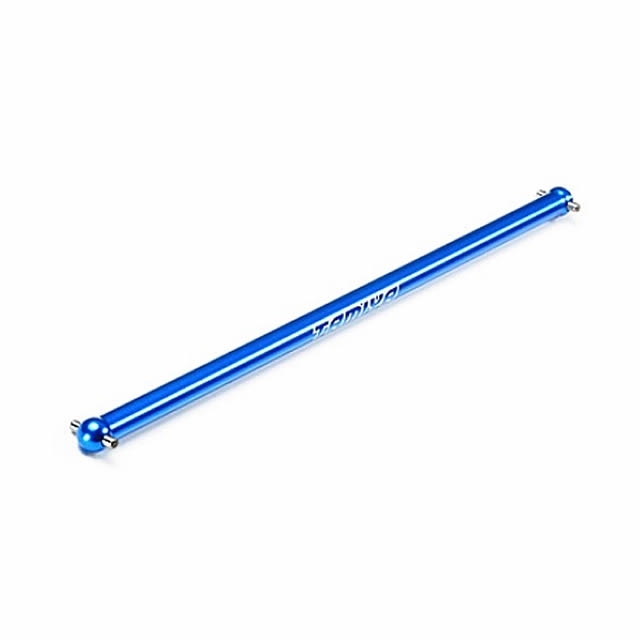 It is made from Tamiya blue anodised aluminium.